Momu's newest album Move is a return to progressive-breaks, the genre they co-founded along with likes of Hybrid, Grayarea, Fretwell, and Habersham. Tracks like Last Chair Up and State of Being feature hypnotic chord progressions over sweeping breaks, punctuated by twisted lead synths, while The Summit weaves multiple guitar lines over a soaring soundscape. Other tracks are percussive adventures: Breaker's Delight mixes wild tablas with old-school breaks, and Dazed and Enthused samples a 90's rave break at its peak. As usual Momu refused to stay in their lane, venturing into funky house with When You Want Me and The Valley. The album closes with the ecstatic sci-fi electronica experiment Escape Module 5. Momu is J.D. Moyer (the MO) and Mark Musselman (the MU). Championed from the start by the world's top DJ's such as Nick Warren and Sasha, Momu immediately made a name for themselves with ground-breaking breakbeat singles that helped create the "progressive breaks" genre. In 2006 Momu released their debut self-titled album to stunning critical acclaim. M8 Magazine said "you'll struggle to find anything as perfectly formed as this collection from breakbeat visionaries Momu." Spill Magazine opined "An absolutely cracking album from start to finish, there's not even a whiff of disappointment in this longplayer." 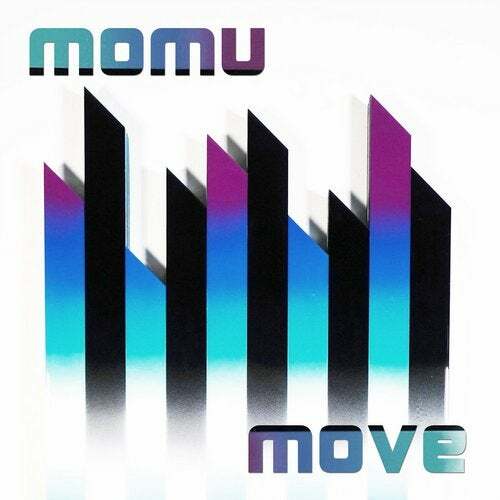 2008 brought the release of Momu's follow-up album Momentum. Unfettered by anything except the breakbeat form itself, Momentum broke the "progressive breaks" mold, but Momu's signature sonic weirdness, insanely high production values, and larger than life hooks were still front and center. Momu's 2012 album Rising (Looq Records) opened at #3 on Beatport's Chill-Out releases chart. Rising fused a new signature style for Momu combining 60's jazz, 70's funk, 80's hip-hop and dub, 90's synth pop, 00's glitch, and new sounds stolen from the future. In 2015 Momu released The Mission, an aural criticism of the radical changes taking place in San Francisco. With breakbeats, analog synths, and digital sculpting, Momu creates sounds both beautiful and dissonant, raising a playful middle finger to Silicon Valley while also celebrating the city's history and idiosyncrasies.